D'Immersione @ Sri Hartamas is located in the vicinity of Matrade Building, Wilayah Mosques and the Government Office Complex at Jalan Duta in Kuala Lumpur. The design of D'Immersione is both innovative and altra modern offering interesting layouts with modern comfort which brings vividly to life an ideal neighborhood. 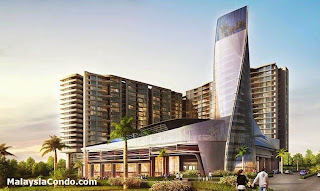 D'Immersione offers a myriad of property development, including Service Suite, Sovo, Boutique Hotel and Street Mall.